The Chesapeake Bay Trust provides grant funding for on-the-ground Chesapeake Bay restoration projects throughout Maryland, reaching thousands of students, organizations and community leaders each year. Since its inception in 1985, the Trust has awarded more than $20 million in grants, funding thousands of projects that have made a measurable impact on improving the Bayâ€™s health and restoring Marylandâ€™s most treasured natural resource. 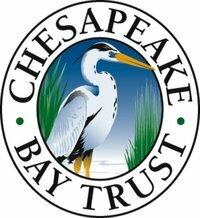 The Chesapeake Bay Trust is an independent, nonprofit grant-makingÂ organization chartered in 1985 by the Maryland General Assembly to engage the public in the protection and restorationÂ of theÂ Chesapeake BayÂ and its tributary rivers and streams.Â Â Funding provided by the Trust sparks on-the-ground change in communities throughoutÂ MarylandÂ and works to cultivate a new generation of Bay stewards. The Trust receives approximately $4 million in contributions annually and reinvests those dollars through a variety of grant programs in community-led projects that reach each ofÂ Marylandâ€™s 23 counties andÂ BaltimoreÂ City.Â In its first year, the Trust funded just 10 grants.Â Since then, through aggressive growth of our expertise, capacity, and funding, the Trust has received overÂ 10,000grant requests, awarding overÂ $30 million to support environmental education and habitat restoration projects that have measurable impacts on the environment and that actively engage citizens in Bay and river restoration efforts. The Trustâ€™s goal is to increase stewardship through grant programs, special initiatives, and partnerships that support environmental education, on-the-ground restoration, and community engagement activities.